When we were travelling through Hawaii, we visited Polynesian Cultural Center to explore diverse cultural heritage of Hawaii. Our tour guide picked us up from our hotel in Waikiki bright and early so that we could spend an entire day at the Polynesian Cultural Center. As soon as you enter, it feels like you have stepped into a whole new world filled with different cultures and unique traditions. We explored all 7 villages inside the Polynesian Cultural Center. It was a fun and interactive way to learn about unique cultures of Hawaii, Fiji, Samoa, Marquesas, Tonga, Aotearoa (New Zealand), and Tahiti. 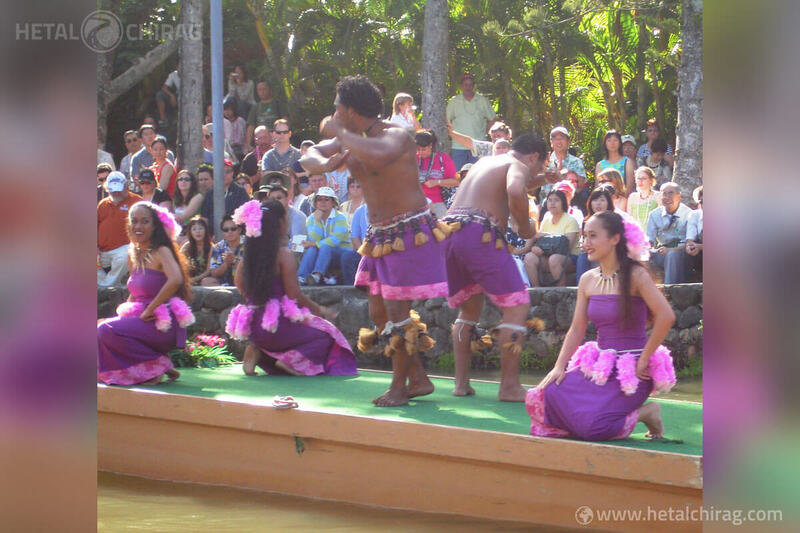 In the afternoon, we headed towards the main lagoon to watch the Canoe Pageant which is one of the most entertaining activities at the Polynesian Cultural Center. Different villages showcase unique styles of singing and dancing representing their cultures. The traditional background music and vibrant costumes make the performances even more fun to watch. If you want to get a good seat to enjoy the Canoe Pageant, make sure you arrive a little early before the pageant starts as it gets really crowded near the lagoon. The next day we went to the Big Island for our helicopter tour over an active volcano and endless lava lakes. Our adventures pilot flew almost directly over the bubbling lava giving us an opportunity to take a very close glance. During the helicopter tour, you can also witness other hidden treasure of the Big Island such as the beautiful waterfalls and lush green mountains.